“It took us a long time to realize that a purpose of human life, no matter who is controlling it, is to love whoever is around to be loved.” Kurt Vonnegut. 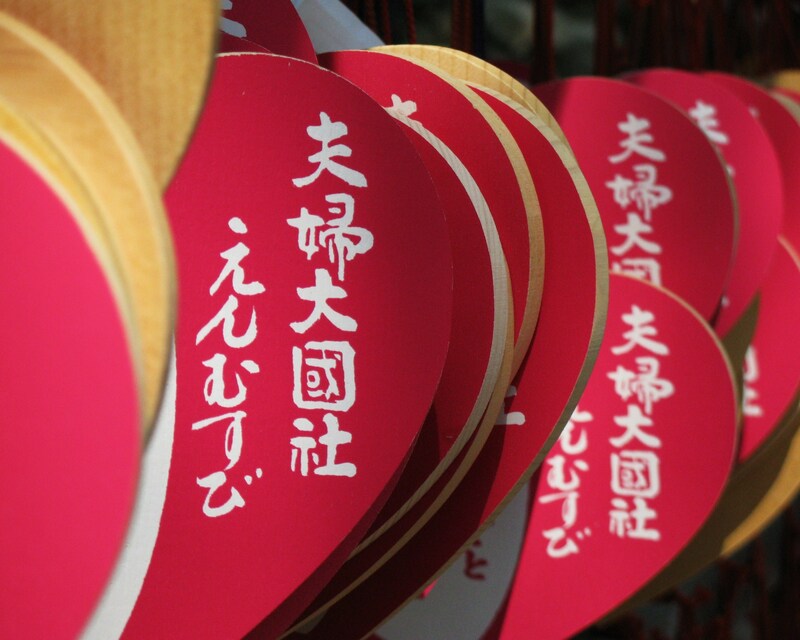 Heart-shaped “Ema” – wooden plaques on which you write your wishes/prayers. 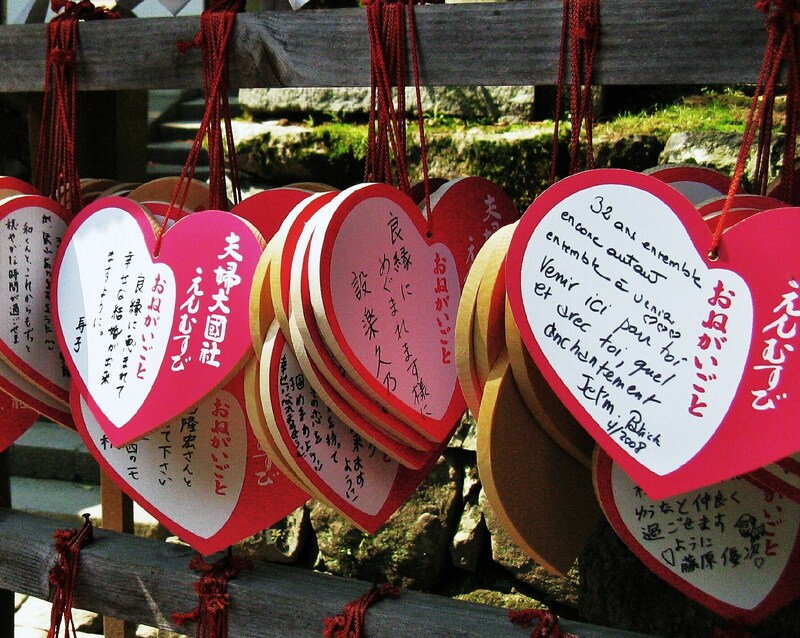 Kasuga Taisha Shrine (Nara, 2008) ema are almost exclusively for wishes of love, for the Special Someone, or to find that Special Someone. . . 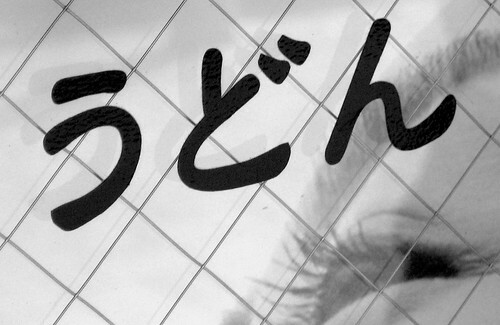 Enduring love stories in a coming of age memoir of Japan: Dancing Over Kyoto. What with a couple of heart-breakers preceding, I’ll wind up with a more upbeat, it’s-tough-but-gonna-work-out, J-Pop song, “Life is Like a Boat” sung half in Japanese and half in English by Rie Fu ( living several of her early years in Maryland ) – . 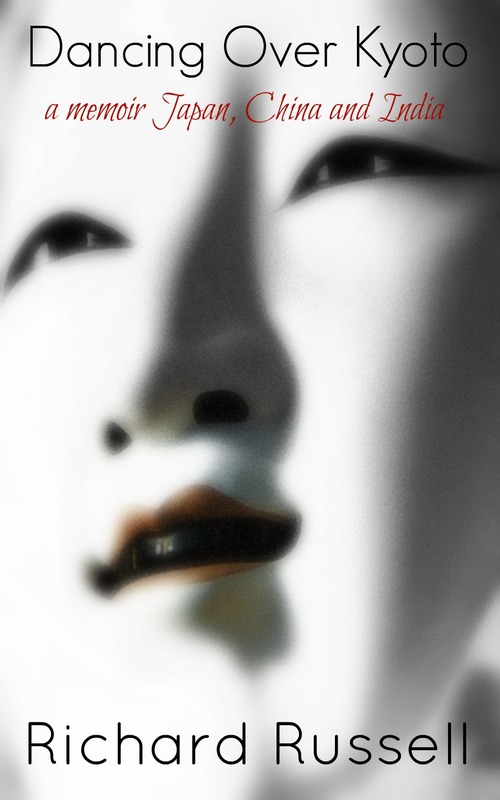 Ema at Kasuga Taisha (Shinto Shrine). 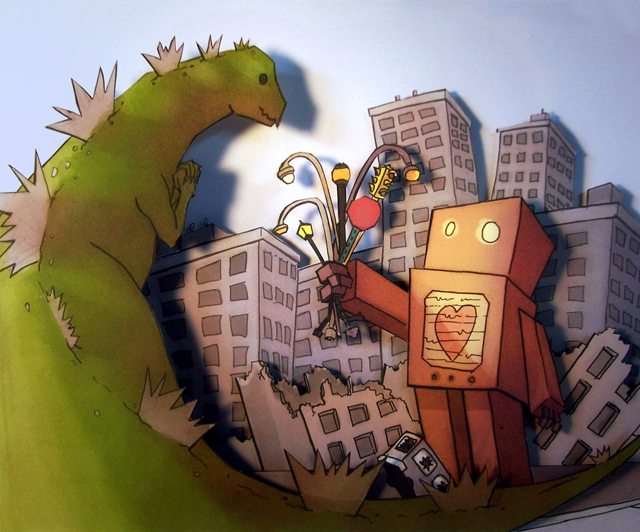 Finally, I invite you to check this wonderful work: “Godzilla in Love.” Credit to the artist, “failur3“. .